If you're in between sizes and have a full cup (D+) and/or full hips, we recommend ordering up for a beautiful fit. The top doesn't stretch, the skirt is stretchy. ''If you want to flourish, choose how to show up!''... 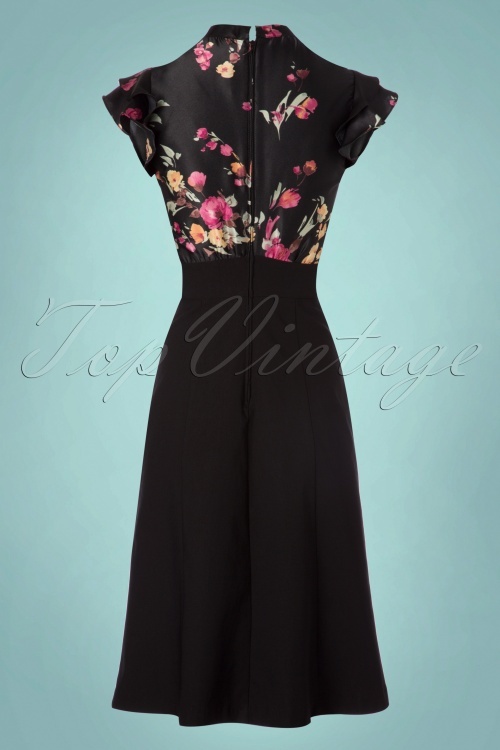 and this 40s Florish A-line Dress in Black is the best choice! Vintage perfection at it's best, just look at her... isn't she gorgeous? 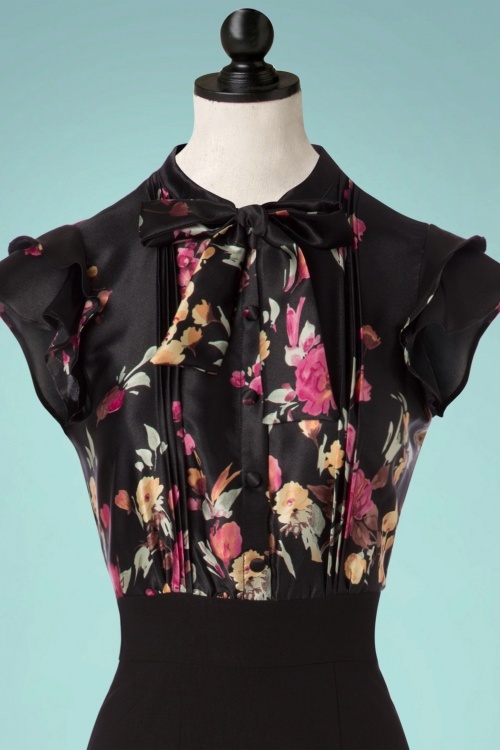 Her fitted blouse style top features short fluttery sleeves, a high closed neckline with a bow detail and a row of faux buttons made from a shiny, satin like fabric with a beautiful print of vintage flowers in different pink, yellow and green tones! 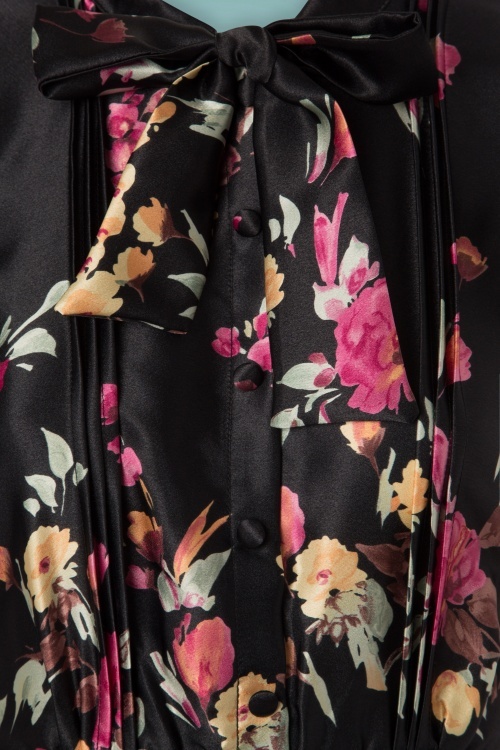 From her high waist she runs into an elegant A-line skirt, which we think is the perfect cut for any body type and made from a stretchy black rayon mix. The perfect vintage dream dress for a special occasion, but don't hesitate to wear her as a day time dress as well!